You can also perform a more selective search for churches in the Dunholme area or see them printed on a map. The church is in the Early English style, which implies a Saxon origin. The church was partially restored in 1902 when an organ chamber and vestry were added. The Anglican parish register dates from 1582. The Lincolnshire Archive Office has the parish register from 1581 to 1812. 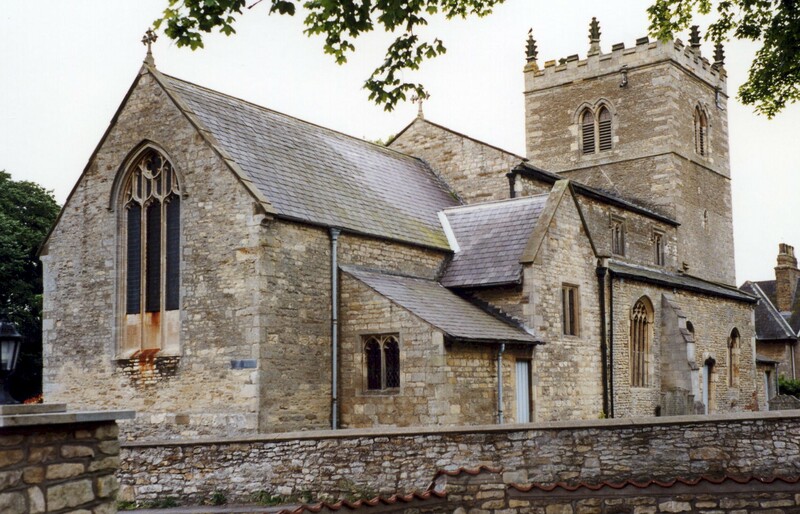 The Lincolnshire FHS has a Loan Library service which has the parish registers on microfiche for Baptisms from 1564 to 1812 and Marriages from 1564 to 1811. The United (Free) Methodists had a chapel here prior to 1913. For information and assistance in researching this chapel, see our non-conformist religions page. Dunholme is both a village and a parish north-east of the city of Lincoln. Welton parish lies to the north and Scothern parish to the south. The parish covers 2,261 acres. Check out the village website to become familiar with the place. Be careful when crossing the beck that flows through the village. The ducks have the right-of-way. Take the A46 north-east out of Lincoln. It passes along the south edge of Dunholme village. Ask for a calculation of the distance from Dunholme to another place. You can see the administrative areas in which Dunholme has been placed at times in the past. Select one to see a link to a map of that particular area. The RAF had a grass landing strip here in 1941 and 1942 used as an emergency strip by aircraft from RAF Scampton. In September, 1942, the RAF gave the airfield official designation as RAF Dunholme Lodge. By May, 1943, it was a full station under 5 Group Bomber Command. During World War II, over 120 Lancaster bombers from this field were lost in combat operations. Flight operations ceased here on 30 November 1944, mostly due to having too many airfields in the vacinity causing some confusion for aircrews. The field became a glider storage area until the end of the war. The RAF closed the field in 1945. The field re-opened in 1959 as a Bloodhound surface-to-air (SAM) missile site. The missile site closed in 1964. The war memorial is a tall stone cross on a plinth in a traffic circle in the village. There are war memorial plaques in St. Chad's Church. There is a list of the names from the plaques and the Roll of Honour in the church at the Roll of Honour site. "Dunholm" is accepted as an alternate spelling of the parish name. This place was an ancient parish in Lincoln county and became a modern Civil Parish when those were establ;ished. You may contact the local Dunholme Parish Council regarding civic or political issues, but they are NOT staffed to answer family history questions. The poor of this parish had a small distribution of £1 and 8 shillings (1900) derived from land in this parish. In 1616, Robert GRANTHAM left a yearly charity of £1 and coats to 10 Bedesmen in this parish and in Sudbrooke and Scothern. As a result of the Poor Law Reform Act of 1834, the parish became part of the Lincoln Poor Law Union. Bastardy cases would be heard in the Bail and Close (Lincoln) petty sessional hearings. The Lincolnshire Archive Office has the Croft and Hanson Charity distributions from 1943-1959. A Public Elementary School was built here in 1862 for 82 children. The Lincolnshire Archive Office has the school managers' minute book for 1903 thru 1952.